Professional lattice design and optimization software for demanding applications. 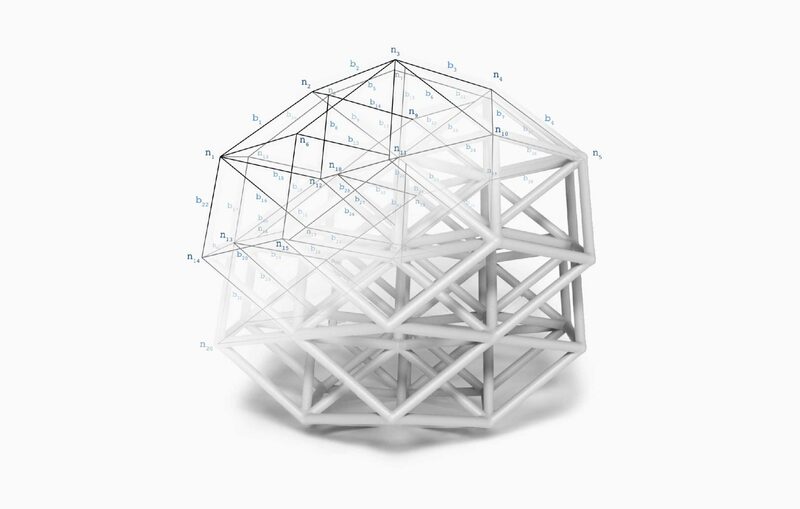 Easily create lattice structures using existing CAD or mesh based geometry. Minimize weight without sacrificing performance and realize the full benefit of your advanced manufacturing system. 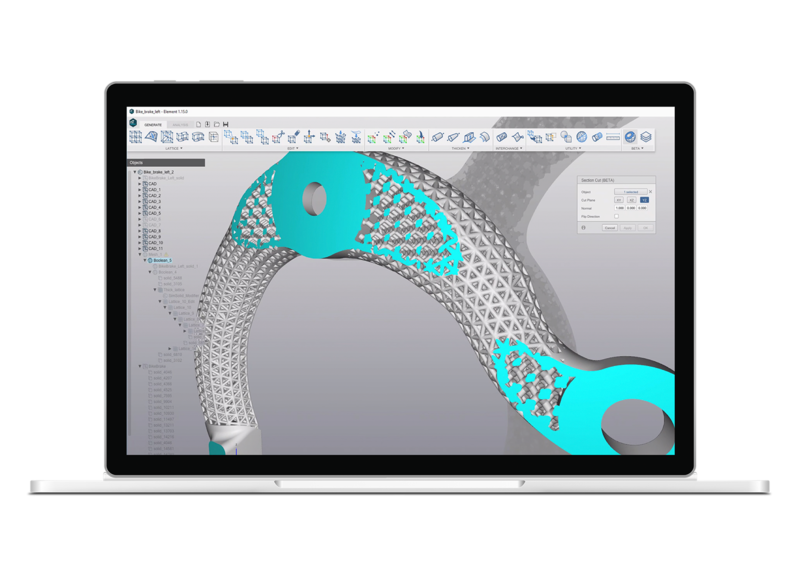 nTopology Element has robust tools that give you full control over your lattice structure designs. Effortlessly create all variety of structures and manipulate your lattice designs. 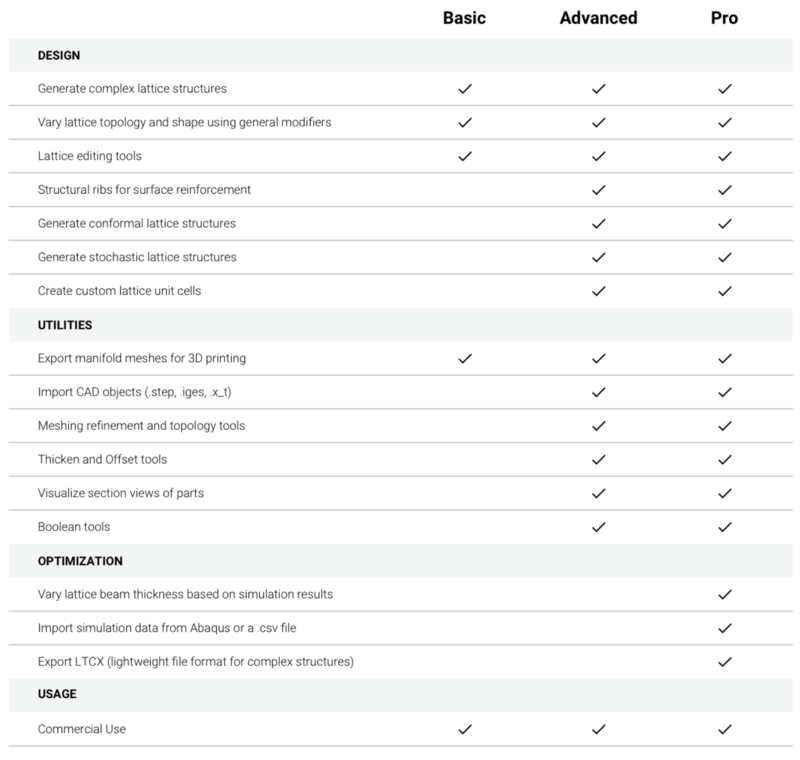 Ideal for basic lattice structure use cases and single users. Ideal for creating high performance, production-grade parts ready for 3D printing. Built for the most challenging engineering applications, with the power of lattice optimization. Get in touch with nTopology Engineering.